Our regularly scheduled open mic, sign up 7:30, show starts at 8pm! 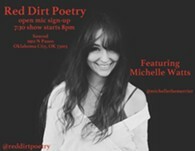 Bring your poems, bring your friends, bring your appetite. Michelle will have books for sale for $8 payment via cash or cash app/venmo. 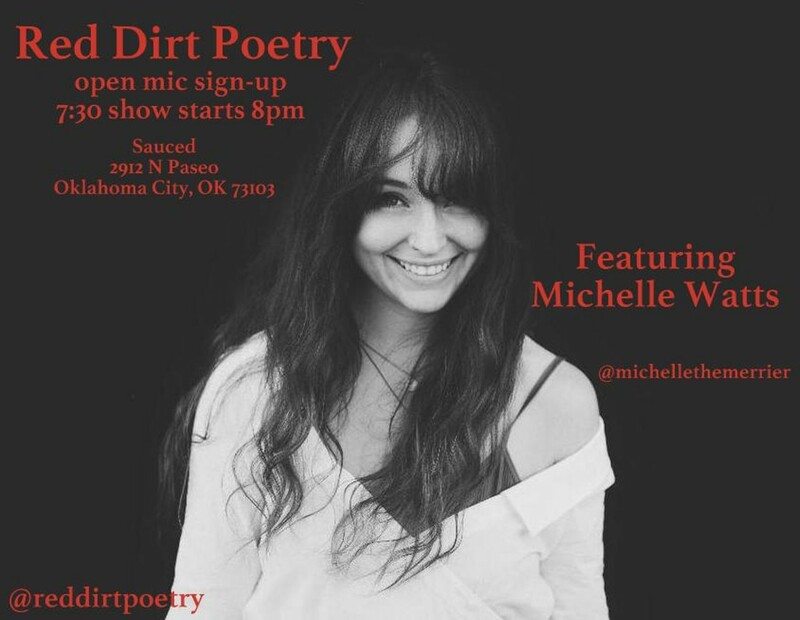 You can find her on instagram @michellethemerrier MICHELLE WATTS is a poet and artist from Oklahoma City. Her poetry has appeared in Petrichor, The Adirondack Review, and her multi-media chapbook, Dis(__), was published by Dancing Girl Press. Her work revolves around female sexuality, nature, and the mystic. She is a Creative Writing graduate from the University of Central Oklahoma.